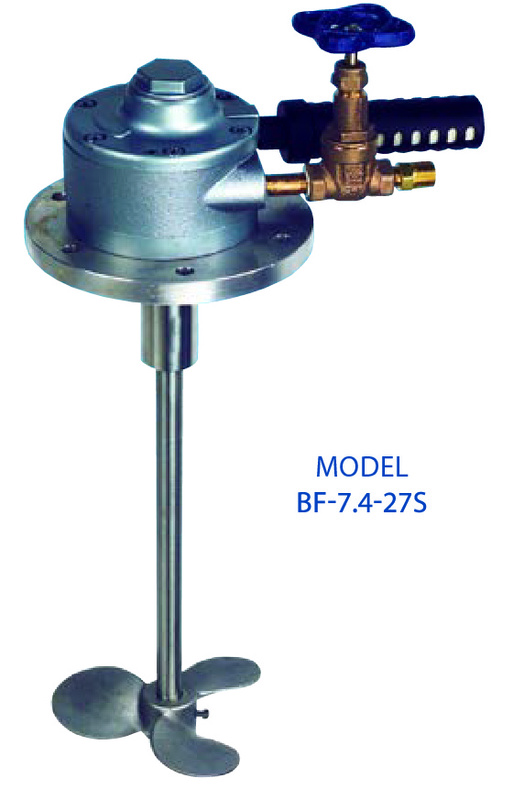 The Neptune flange mounted, air driven mixer that uses 316SS shaft and 316SS marine propellers. Single propeller models have one left-handed propeller pumping downward in normal operation. Dual propeller models have one each left-hand and right-hand propellers providing counterflow mixing. Air control valve included to allow speed adjustment. Motor may be stalled without damage.